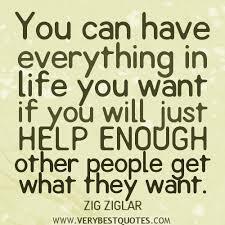 “You can have everything in life you want, if you just help enough other people get what they want.” That famous quote is the legacy of one of the most influential salesmen in human history, the late Zig Ziglar. A truly good guy with an upbeat message, During his lifetime, Ziglar helped millions succeed in sales through his motivational seminars and recordings, and his legacy continues after his death through his website, Ziglar.com. After listening to a Ziglar presentation, you will be ready to conquer the world through kindness, passion, integrity and good intentions. One of Ziglar’s pet peeves was procrastination. He contended that putting off until tomorrow what you can do today is a fatal flaw for a salesperson. Using a play on the words, “As soon as I get around to it,” Ziglar created a token called the “Round Tuit,” a motivational sales tool the size of a coin, designed to remind trainees that they no longer have an excuse to procrastinate, now that they have their Round Tuit. 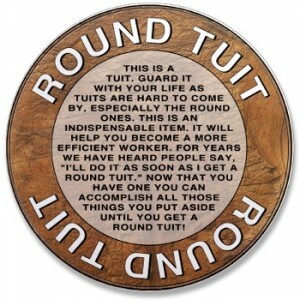 The Round Tuit remains a popular motivational tool that can be purchase in bulk. Ziglar’s message flies in the face of many sales training programs that promote the use trickery, deception and manipulation to close a deal. In speaking about the art of persuasion, Ziglar said, “The most important persuasion tool you have in your entire arsenal is your integrity.” In a world where cutthroat business practices are the norm, Ziglar believed that character and integrity are foundational to success. 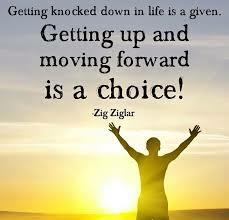 Ziglar’s message is all about facing life’s challenges with optimism, and learning to keep moving forward instead of stagnating. “You don’t drown by falling in water, you only drown if you stay there.” While Ziglar’s motivational programs are geared toward helping salespeople succeed, the messages they contain are ripe with nuggets of wisdom from which anyone can learn, grow and succeed.